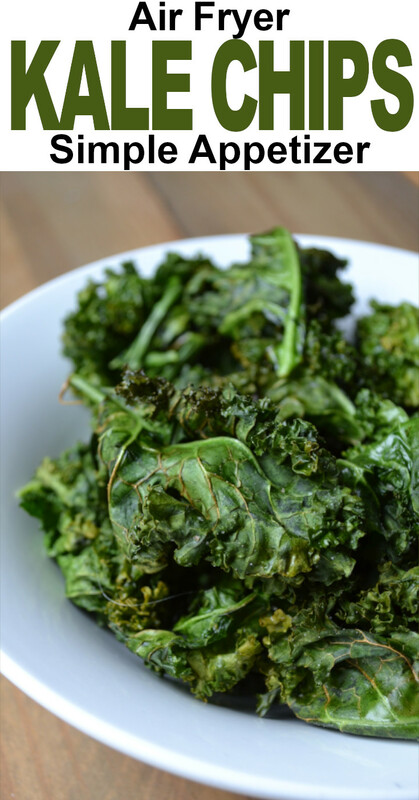 If you are trying to incorporate more meatless meals into your menu then your going to want to add this simple and delicious recipe to your collection. 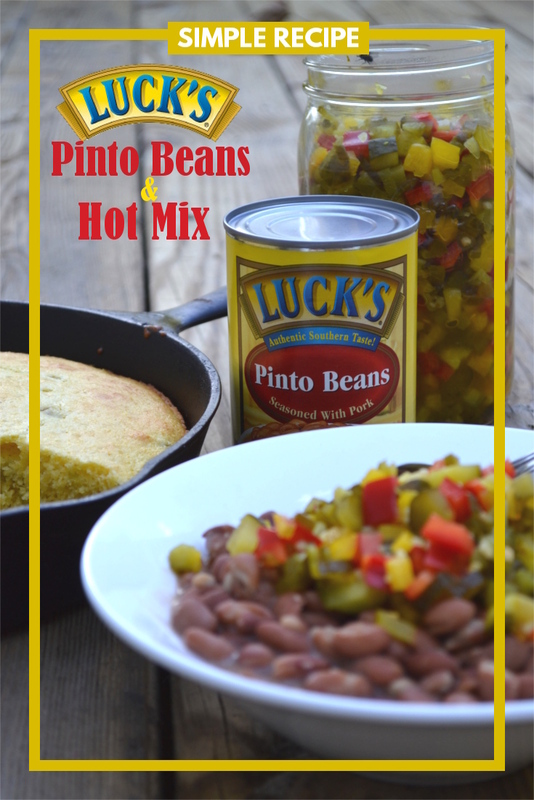 Luck’s authentic southern pinto beans makes it easy and convenient and the hot mix, well that just adds a little kick to the party. In the south, pinto beans are a staple in almost every kitchen, it’s quite common to see a pot of beans cookin’ on the stove. The thing is though they’re not just any old pinto beans, they have a really unique southern flavor. 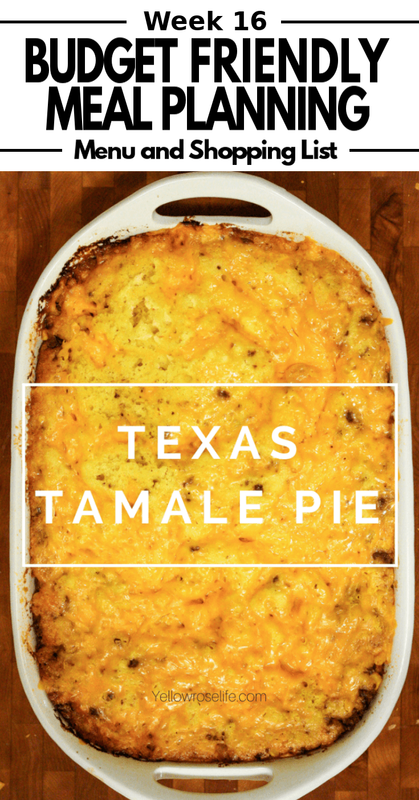 I have tried and tried to duplicate that southern flavor, but I can never seem to get it right. 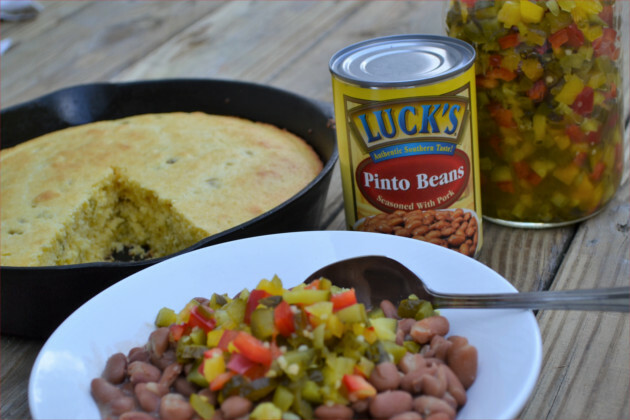 Thankfully, Luck’s pinto beans have that authentic southern taste. They are simmered longer than other canned pinto beans which gives them a softer texture and leaves you with an authentic creamy, pork seasoned sauce. 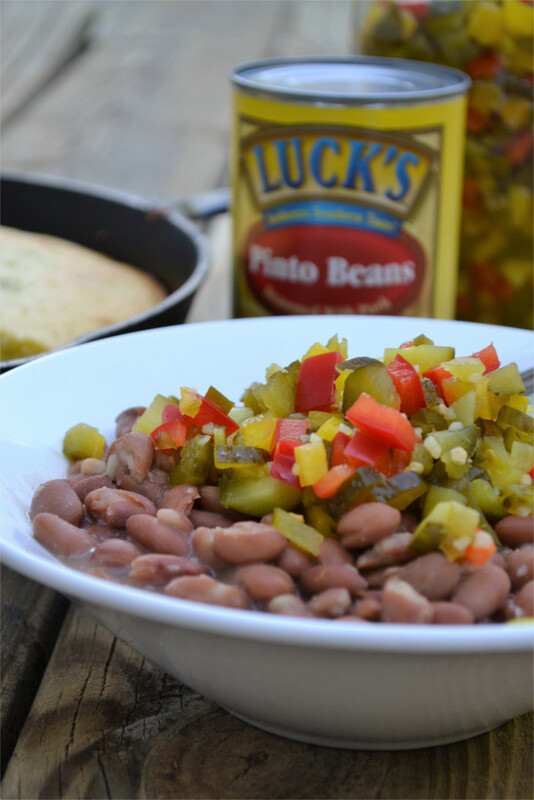 Luck’s definitely knows how to do authentic southern pinto beans, heck, they’ve been making them since 1947, when they started the company in North Carolina. They clearly know authentic southern taste and it’s as easy as opening a can to get all of that amazing flavor. Before moving to the south I always thought of pinto beans as a side dish or something your threw threw into a soup, boy was I wrong. My husbands maw-maw quickly schooled me in the southern way to serve pinto beans and it wasn’t as a side dish. The southern way to serve pinto beans is as a main dish, with a side of collard greens and some corn bread. The cornbread is used for soaking up the creamy sauce of the beans and the collard greens, well, they just like their greens down here. They also like their hot mix, which is a flavorful relish that you top your beans with. To tell you the truth, it’s the hot mix that makes the pinto beans into such a delicious main dish. This is a west-coast girls version of grandma Ruby’s hot mix. Unfortunately, maw-maw Ruby never wrote down the recipe, she was a firm believer in cooking with a little of this and a smidgen of that, until it tasted just right. A simple and flavorful mix of pickles and peppers. Hot mix adds amazing flavor (with a touch of heat) to many of your favorite dishes. For a meatless meal try serving hot mix over a warm bowl of Luck’s Pinto Beans. In a large bowl, mix together all of the diced pickles and peppers. Stir in the sweet pickles juice and refrigerate for 1 hour before serving. 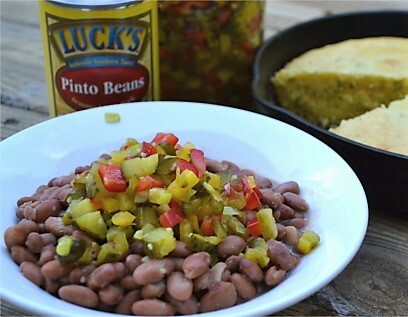 All of Luck’s beans are seasoned with pork, which is what gives them that authentic southern flavor. 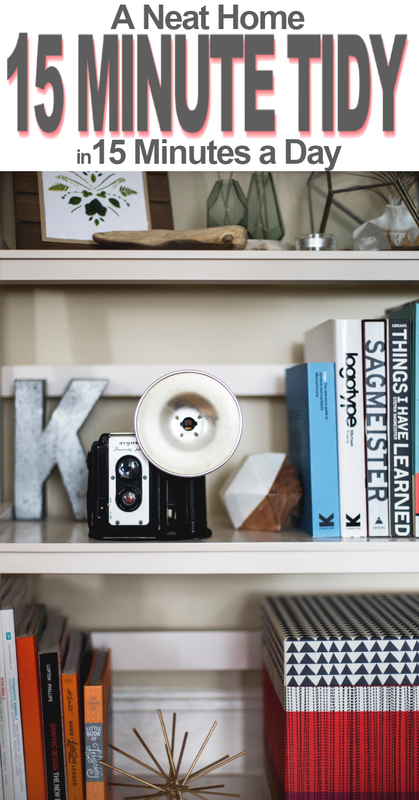 They can be used in a variety of ways allowing you to get creative. Luck’s also has canned fried apples and fried peaches, which taste amazing in your favorite southern dessert. 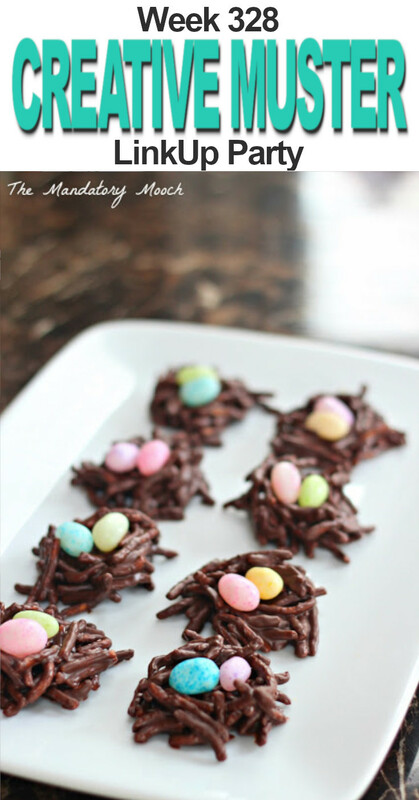 Check out some of these delicious recipes using Luck’s products and while you’re there print off this Lucks $0.80/2 coupon. Disclosure: This is post is being sponsored by Luck’s. We are receiving compensation in exchange for our ideas. We only recommend products or services that we personally believe will add value to our readers. All opinions stated are strictly our own. Read our full disclosure policy for more information. – Pinto beans can help you detoxify your body. – They can help improve your nervous system. – They are helpful for pregnant women and their baby. – They can help you maintain a healthy blood pressure. We are Pinto Bean lovers, as a matter of fact they are a staple here at the cottage. Your recipe looks awesome! Thanks so much for sharing with us at Full Plate Thursday. Have a great week and come back to see us real soon!